By Reza Kahlili – “Despite the recent declaration by Iran that it does not want a nuclear bomb and statements by regime officials that they are willing to negotiate over the nuclear issue, indications from within Iran signal massive preparation for an all-out war as part of its destiny. Nine years ago a Revolutionary Guards arm, the Holy Defense, published a book, ‘The Last Six Months,’ in which it describes the conditions needed in the last six months prior to the reappearance of the last Islamic messiah. The book was distributed in the hundreds of thousands to all Guards, Basij and army bases throughout the country. The book admonishes the military forces that they must be prepared to do their duties during those six months and that there will be many signs to help the faithful to understand the transition, which will center on Iran. The book, which relies on Islamic hadiths by the Prophet Mohammad and his descendants from centuries ago, describes the 9/11 attacks and the invasions of Afghanistan and Iraq as signs that the time is near. But it also prophesies much more significant signs that would launch the six-month time frame for the reappearance of Mahdi: an attack on Syria and then an attack on Iran. Both those events are looking increasingly likely as Syria’s Bashar al-Assad continues to murder his own people and Iran continues its quest for nuclear weapons. Mahdi will only reappear, Shiites believe, when Israel is destroyed and the U.S. is brought to its knees; two-thirds of the world’s population will die in a nuclear exchange, and with this chaos and havoc engulfing the earth, the ‘coming’ will unfold. As revealed in the Iranian secret documentary ‘The Coming Is Upon Us,’ it is believed within the Islamic regime that the supreme leader, Ayatollah Ali Khamenei, is the historical figure as claimed in a hadith who will rise up against the infidels and pass the flag of Islam to Imam Mahdi, the last Islamic messiah. According to a source who served in the Guards’ intelligence – he has defected to a country in Europe – billions of dollars have been spent on the military forces to emphasize this very ideology of the coming as well as preparation for an all-out war. Thousands of terrorist cells consisting of the most loyal are placed throughout the world, and they believe Iran will be a key player in creating the circumstances for the coming. The Islamic regime fully expects to be attacked, the source says. Its leaders believe this will happen as foretold in centuries-old hadiths and written in the book ‘The Last Six Months.’ Response contingencies call for simultaneous attacks on Israel, Saudi Arabia and the Gulf States, and attacks not only on U.S. bases in the region but the U.S. homeland. The Islamic regime has already mastered nuclear technology and currently has enough enriched uranium, verified by the IAEA, for six nuclear bombs. It also has ballistic missiles capable of reaching every country in the Middle East and many capitals in Europe but is also working, with the help of China and North Korea, on intercontinental ballistic missiles. Of utmost concern is that Iran likely has nuclear weapons already even as it works to create more. As reported in October, Iranian agents scoured the former Soviet republics after the fall of the Soviet Union in search of buying existing nuclear bombs, offering hundreds of millions of dollars. As verified with sources at the State Department, a former U.S. intelligence officer and a Russian general, the Iranians have at least two workable nuclear warheads. The source in the Guards’ intelligence said he was informed in secret briefings while in the Guards that they had two nuclear bombs, though he could not attest if they were viable. But what he verified next was further terrifying: Iran has neutron bombs, thanks to its North Korea ally. A neutron bomb is a tactical nuclear weapon invented during the Cold War to kill people with neutron radiation, while minimizing damage to buildings. ‘However, a neutron warhead is more accurately described as, and is officially called, an Enhanced Radiation Warhead because it produces large quantities of all kinds of radiation – including gamma rays – that generate the electromagnetic pulse (EMP) effect at high altitude,’ according to Dr. Peter Vincent Pry, executive director of the Task Force on National and Homeland Security, which advises Congress. ‘So if a neutron bomb, or more properly ERW, is detonated at high altitude, above 30 kilometers, it becomes an enhanced EMP weapon, a strategic weapon that could generate a powerful EMP, destroying electronics and collapsing the critical infrastructures that support the lives of millions of people over vast geographic areas,’ Pry said. As verified by the IAEA, the Guards have launched ballistic missiles from ships and detonated warheads over the earth’s surface. Those tests have only one purpose: create an EMP attack, whether by nuclear or neutron bomb. As revealed last year, the Guards have now armed their naval vessels with ballistic missiles and plan on deploying warships in the Atlantic Ocean. Studies show that a successful EMP attack could destroy electric power, telecommunications, transportation, banking and finance, and food and water across the continental United States. The Congressional EMP Commission estimated that, given current U.S. unpreparedness, one year after an EMP attack, about two-thirds of the U.S. population, 200 million people, would have perished from starvation, disease or societal collapse. As the West continues to negotiate with the leaders of the Islamic regime in Iran, even accepting their nuclear program for ‘peaceful purposes,’ one thing is ominously lacking: an understanding of their ideology.” Source – WND. Reza Kahlili is a pseudonym for a former CIA operative in Iran’s Revolutionary Guards and the author of the award-winning book, A Time to Betray. He is a senior Fellow with EMPact America, a member of the Task Force on National and Homeland Security and teaches at the U.S. Department of Defense’s Joint Counterintelligence Training Academy (JCITA). Related: Where is America in Bible Prophecy? – “For many years, it has been taught that in the Last-Days literally every nation of the earth – including the United States – will be utterly dominated by the Antichrist; there will be no place to escape from the dreaded Mark of the Beast; every last nation of the world will come against Jerusalem. Zechariah 12 is usually used to validate the theory, as is the Apostle John. After all, the Antichrist will be given ‘authority over every tribe, people, language, and nation,’ (Revelation 13:7).” Read more. Related: The Mark of the Beast – What Your Church May Not Be Telling You – “… The Babylonian Empire encompassed areas of Saudi Arabia (the birthplace and spiritual homestead of Islam) to the south, to parts of Asia Minor (Turkey) in the north, and from Egypt in the west to Persia (Iran) in the east. This area is today the epicenter of Islam. Additionally, one intriguing aspect to the ‘curse’ [of Zechariah 5:3] that goes out over the whole land is that the word for ‘curse’, and even how it is pronounced, is the Hebrew word ‘alah’. The Prophet Isaiah, in describing the condition of the earth at the time leading up to the Second Coming of Messiah, says that ‘the curse [alah] has devoured the earth, And those who dwell in it are desolate’ (Isa 24:6). To dwell in the earth does not in and of itself make one ‘desolate’. But the same cannot be said for those who dwell in the ‘curse.’” Read more. I’m thinking about sharing this with my church! Lutheran: Missouri synod. Could Saddam Hussein have been the 1st horseman of Revelation? If so, could the 2nd horseman be the coming warrior leader of Iran? (I bought 6 cans of hominy today to add to my strategic emergency food supply (sefl). Reading this and watching the videos, tells me I’m on the right track. Today i am at peace: knowing that tribulation has to come before the Lord returns and destroys this evil Islam. Instead of worrying about Iran, worry about the real problem. The Rothschilds and their minions controlling almost every national bank in the world except Iran and North Korea. Why is everybody so brainwashed in regards to this conspiracy? Our founding fathers did not want an income tax nor property tax nor a central bank. Now we have all three. Abolish the FED and investigate why all the main media outlets in the USA are controlled by just six people. WAKE UP! You are not just selling yourself into slavery, you are dragging the rest of us with you! Islam is by far our most pressing present problem since it is an existential one. Would be to God the Jews did control and run this world! It would be a far better place and according to Scripture they will do just that one day under Jesus the Messiah and David their king. Israel according to scripture will one day be the head of the nations and not the tail. Aren’t you in the least thankful for your excellent Jewish doctor, lawyer, scientist, computer expert, cell phone technologist, and musicians? What about the Lord Jesus Christ? He’s Jewish and he could not have come to the earth to save us if there had not been a Jewish people or nation. Could you have imagined him being born into a Gentile, i.e. pagan culture? The Jews as a whole have been a great blessing to the world! I don’t know much about the Rothschilds but without the current banking system, would we be better off with something perhaps more primitive? I thank God for the Jews and for the numerous blessing that have come in my life because of them. : It was a Jewish lipid scientist Mary Enig who taught me that saturated fat is healthy for one’s diet in her book “Know your Fats”. And science journalist Gary Taubes in his book “Why We Get Fat and What to Do About It” has taught me how to implement a low carb approach to good health by keeping my weight down, and reducing my risk for metabolic syndrome, diabetes, heart disease and cancer. John, have you received Jesus Christ as your Saviour and Lord? He is God’s ultimate “Jewish gift” to you! Through Him we receive the Spirit of God into our heart, the forgiveness and forgetting of our sins and are granted eternal life. God richly bless you. A better world is soon coming! This is an invitation to deny the uniqueness of the God of the Bible: actually calling to equate allah with JEHOVAH! a denial of the plurality of the Godhead, and a denial of the TRI-UNE nature of God! What a nerve to offer this ‘common word’ to the Christian world! What’s disturbing/disappointing was the slavish enthusiastic response by multitudes of church leaders from Catholics to Mennonites! Even Baptists! The LCMS has a good position paper on Islam: clearly stating the incompatibility of Islam with Christianity. Correction: Meant to add that the common word invitation is an invitation to deny the Sonship of Christ, by ascribing to “God” no partners. The Moslems were also practicing Taqiya (deliberate deception of non-Moslems/ the term “Allah” is cleverly omitted from the document with the term: “God”). Islam is guilty of violating every article of GENOCIDE laws, throughout every clause of those laws – throughout the world! Good soul bearing Muslims should be rescued from that diabolical, sick, mudpond “reflection” of a religion. And Islam itself should be eradicated from all the 4 corners of the earth. So help us God! Agree that it has violated genocide laws, but only Yeshua’s appearing is going to rid us of Islam. In the meantime we need to stand up, tell the truth, say “no” to sharia, and hopefully open some eyes. Wow Kurt, I’ll have to keep an eye out for any new developments in Spain. It’ll likely get tossed out at some point, but very interesting that it has gotten this far. Just had something interesting happen – I was out putting the finishing touches on re-staining my patio trellis earlier tonight and was letting my mind wander. For whatever reason I had this thought: “I wonder if any in the Islamic world would consider Osama Bin Laden as the Mahdi, or a kind of forerunner to him…” I was thinking of his sort of messianic/mysterious appearance, at least how he looked in the Afghan terror training camps and not what he looked like sitting on the floor in front of his TV in Pakastan. Don’t think I really want to go poking around on the internet searching on those terms, but I wonder how prevalent this view is? It feels to me like some sort of confirmation from the Lord, due to thinking that thought and then an hour later reading the same thing. I thought Iran was peaceful? Iran appears hellbent on being intolerant of any other faiths. All Iran will achieve is mainly isolation. Gaddafi has gone, Saddam has gone, spot the pattern? Peace is BETTER than war! Kev, it’s NOT Iran. It’s all Muslims world wide! You better learn about Islam! It is stupid to wait for the enemy to push the button! Get the drop on the Muslims NOW while we still can! Turn Iran into a glass parking lot! Then whatever is left can wait for their Satanic Imam joke! How do religious leaders quell mass mobs? 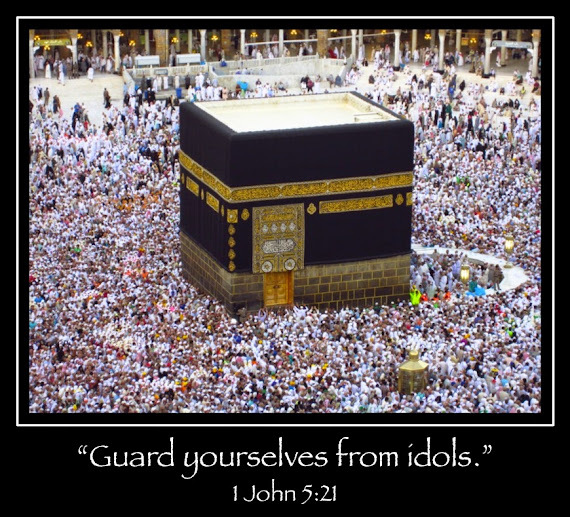 Just like 1300 years ago, the worthy prophetic religious leaders dump fear on mobs of masses. Is no wonder the planet so under advanced. Religion competes to destroy common sense and straddle believers with fantasy flights whereby a “messiah” will come down and take away personal responsibility. I say religion(Islam” needs to grow up. Yeah what’s the deal with that? I also did a search for the book, seems they all (the articals) are very similar???????! Kudos Reza Kahlili: Outstanding report. History is repeating itself. The USA sat on it’s thumbs watching Germany arm-up for World War I -and II. Now we are negotiating with Iran and North Korea as they acquire the means to turn New York City in to an ashtray. Right on Reza Kahlili: -WRITE ON! I am posting this: an emotional response after watching the video of Egyptians storming the Saudi Embassy in Cairo and scrawling “Israel” and Stars of David on its walls. James, do you have a link to that video? Kurt J. I have had the same thoughts concerning the possibility of OBL being considered the Mahdi they are waiting for. I’ll give this some study because like you, I have had this bearing on my mind for sometime now. And after his body was dumped into the sea, I am left thinking about the beast of the sea that the bible talks about. Crazy as it sounds I feel compelled to do some serious studies now.